But what would they be? If the Minoan Kindom declined around 1600BC because of the tsunami of the Thera erruption, who were the ones to change the placemanes within just 150 years? TheÂ suffixesÂ certainlyÂ don'tÂ meanÂ anything. It was veryÂ commonÂ forÂ the GreeksÂ and RomansÂ toÂ appendÂ their own suffixesÂ to foreign place names (eg LondiniumÂ etc). 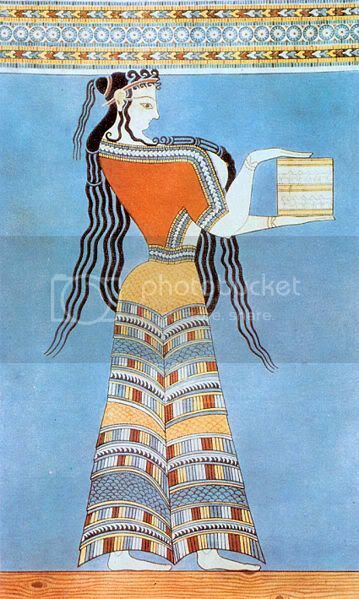 ThereÂ isÂ simplyÂ no wayÂ ofÂ knowing whatÂ the MinoansÂ themselvesÂ calledÂ the site, justÂ asÂ we doÂ notÂ know whatÂ they calledÂ themselvesÂ inÂ thoseÂ times. The name is recorded as Ko-no-so from a LInear tablet in 1400BC. It is not a Greek toponym. Linear is undeciphered, so that's speculative. III) Suggested bibliography that suggests, Knossos & other placenames are not Greek nor Minoan, but of some people that renamed those places between 1600BC and 1450 BC. Linear B was deciphered. Ko-no-so is the Linear B spelling, meaning it is an aproximation of this word in Mycenean Greek ~3500 years ago. And the toponym is non-Greek not because it is on a Linear B tablet, but because of that -osso- it contains. So with a high probability Myceneans got some words also with the writing system they received from an older civilization, and place-names are among the most likely candidates. The suffixes certainly don't mean anything. It was very common for the Greeks and Romans to append their own suffixes to foreign place names (eg Londinium etc). Londin(i)us or Londin(i)a? You'll say it's a matter of chance, well, it is not, and it gives some precious linguistic information about the original toponyms. One relatively well-known example is that Greek names and nouns (in nominative, of course) ending in -on, in Latin they are adapted with -um desinence. Sometimes linguists can even reconstruct important features of the lost languages based only on how their words were adapted into Greek or Latin. Indeed Chilbudios. Most decipherers are using suffixes to find patterns of verbs, nouns etc. Without the suffix-methodology of Ventris, i doubt he would have managed to decipher the Mycenaean tablets. Imagine if you have a recognisable word that is expected to be a verb and with certain symbols abcdefgAB. then it means that you have found the possible tenses for that verb. I tend to agree you but the Minoans I do not think were obliterated by the Mykenean Greeks but their population was aborbed over time. From my previous research it was after Thera erupted that they believe the Greeks simply took advantage of their weakness and either dominated them politically or outright conquered them. It is all speculation since we have no written text from that time. I do believe that one out of so many people could still have this genetic connection but your right because of invasion most would not. I read an article in "Archaeology Magazine about a village in England which was tested for any genetic connection to a pre-Bronze Age Neolithic population and yes one man had that link but I cannot remember all the details of that article. You know how many times England has been invaded but even the Angles, Jutes and Saxons did not totally obliterate the native Celtic population. I read an article in "Archaeology Magazine about a village in England which was tested for any genetic connection to a pre-Bronze Age Neolithic population and yes one man had that link but I cannot remember all the details of that article. You know how many times England has been invaded but even the Angles, Jutes and Saxons did not totally obliterate the native Celtic population. I believe you're referring to Cheddar Man. Actually it was two people, who were direct descendants, and that was only out of a local classroom that they tested (26 people IIRC). Not sure how much it applies to other locations though ... I think it would be a mistake to simply assume that populations were equally constant in all other locations just because they were in that one site. It's not really even enough to suggest that the population of all England is that constant, just Somerset (which is not really all that surprising as we already knew that the south-west, like Wales, was much less affected by new arrivals). On the other hand it does show that populations can be remarkably consistent over very, very long periods of time, the whole of known history. The paper mentions non-Indo-European geographical names found in Greek that are found as far east as Cilicia. Around the end of the Middle Bronze Age (ca. 1600 BC) the Hurrian Language and Religion spread out in Cilicia and mingled with the local Luwian language. There is also evidence that those Hurrian populations have remained in the region for centuries, even being identified as other Greeks. For the variant spellings of Tarsus in antiquity. The transliteration Tarsisi is further supported by evidence which corroborates the location of "the land of Iaman (mat Iamnan)" in Cilicia immediately west of Tarsus. Neo-Babylonian document K. 28122 describes certain men with Luwian and Hurrian names as Ionians or Greeks...Such an ethnic mixture was a characteristic of the population in western Cilicia. There is other supportive evidence that links materials found in the Middle Minoan period 1700BC, to those in Cilicia, Crete and Troy. Hurrian merchants could have easily settled into parts of the Aegean, as their population lived near the coast. Its also interesting to note that one of the Linear A words read with Linear B values mentions TURUSA and IDA. If Ida is the geographical connected to Crete, then Turusa could be a rendering of Cilician Tarsus. And it could very well be a description of a voyage between those two places that occurred frequently in those times. Yes, it is. You all right. IE-scholars have made a great effort on IE language reconstruction, this is true; soon they realize a 'Mediterranaean sub-strata language(s) group' with no links to existent languages. In 1985 R.A. Brown published 'Evidence of Pre-Greek speech on Crete from Greek alphabetic sources', the key point was Pre-Greek phonological feature. R. S. P. Beekes goes one step further than, and (p. 3)"......... The comparison with Basque or Caucasian languages has not been considered as this is not my competence; I think it possible that there are such connections, but that must be left to others. My suggestions for reconstructions are not essential.........." that is correct. In 1986 Djakonoff & Starostin pubblished "Hurro-Urartian as an Eastern Caucasian language", not really welcomed among scholars. Moreover, Chirikba's book: "Common West Caucasian. The reconstruction of its phonological system and parts of its Lexicon and Morphology", put Hattic language related to ProtoWesternCaucasian. ; last, but not least "NorthCaucasian Etym. Dict." of Nikolaev & Starostin. Now I quote Palmer's book ("The interpretation of Mycenaean Greek texts") at page 39, ref. to Linear A language inscriptions: "..... < ="-" ="text/; =utf-8"> < name="GENERATOR" ="Office.org 2.4 Linux"> < ="text/"> The existence in the syllabary of a system of opposition plain : palatalized : labialized to the neglect of the oppositions voicelles : voiced : aspirate, which are essential to Greek, strongly suggests that the ancestral form of the syllabary was created for a non-Indo-European language (LP 19. 29). Such phonemic systems are found inter alia among Caucasian languagesâ€�. So, if you put together (with caution, obviously) all this people, the conclusion........(I let you to do so). "In addition to buliding a temple of Athena at Tarsus, Sennacherib changed the name of the city. This act appears to have been an initial attempt by Sennacherib to accomodate the enlarged Greek population by giving a name of the city a Greek termination. The customary spelling in Assyrian documents was Tarzi; the spelling according to the Greek account was Tharsis. Sennacherib's settlement of Greek colonists in Tarsus and his change of the city's name to T(h)arsis is confirmed by a later Assyrian inscription of king Esarhaddon (689-671 B.C. ), in which Tarsus is spelled Tarsisi instead of the usual Tarzi, and Tarsisi is used to define the eastern limits of the land of Iaman, i.e. 'the land of the Greeks'"
Hurrian merchants could have easily settled into parts of the Aegean, as their population lived near the coast. Could have, but were they? You all right. IE-scholars have made a great effort on IE language reconstruction, this is true; soon they realize a 'Mediterranaean sub-strata language(s) group' with no links to existent languages. This is true for almost all IE languages. The study did not enjoy a very good reception because of some unjustified enthusiasm of the authors: there's not a very large number of correspondents, some are quite generously accepted. Palmer did not suggest that we should address with any degree of certainty the language behind Linear A as a Caucasian language. Djakonoff & Starostin's views are not widely supported (and even if they would, they do not necessarily imply a genetic relationship between Hurro-Urartian and Caucasian languages, they could be simply some neighbouring languages sharing a number of features). I don't see any case here that Hurrian is the language of Linear A. Moreover, many of the arguments made for such a language works for Luwian and the IE Anatolian languages which could transport some features to Aegean. The more interesting point is, what were Hurrians doing in lands the Assyrians identified as Greek areas? We know the Hurrians entered Anatolia centuries before the Greeks. Their descendants could have called themselves by other names, but still maintaing their original language and religion. What's not so obvious is the extent of their influence in the region, were they could have been any of the presently unidentified people mentioned by Greeks and others. The Egyptians talk of the islands that are now considered to be Cyprus or sorrounding areas as Keftiu. Some scholars tried to equate Keftiu to Crete and the Minoans, but there appears to be other connections between them. Direct evidence from Keftiu texts include Hurrian names, and connect them to Cilicia (along with Luwians) and even farther east in the Hurrian city of Nuzi. The article also says the name Atana appears in Nuzi and Keftiu, another source says the name means "The Throne" in Hurrian. Atano is found in the Linear A texts. By 1750BC, people from north Syria/southwest Turkey could have been travelling to the Aegean for regular trading after the Sea Peoples were put down. Most prominent among them would be the Hurrians because they were already established in Alalakh by that time. I should also mention that the majority of Habiru soldiers had Hurrian names in the Tikunani Prism. So any mention of a Habiru does not explicitly imply someone of Semitic origin. In the north the Hurrians were already moving deeper into Hittite areas. Its not well explained why Hurrian culture was so influential to the Hittite when they didn't have a powerful centralized empire (except later as the Mittani). Instead they were part of smaller kingdoms that were rich in culture and commerce. 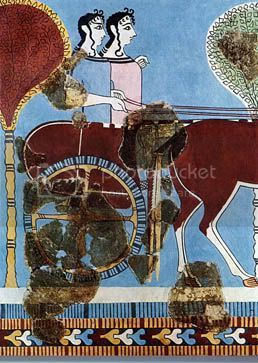 The Middle Minoan civilization, noted for its high level of organization and commerce could have originated from Hurrians and other related people who had the advantage of coming from already developed areas in Mesopotamia and Anatolia. They had relatively peaceful interactions with those in the Aegean that mostly involved trade. We also have evidence for Hurrian influence in the Aegean from Greek myths, mainly the "Kingship in Heaven Myth" discussed in The Cambridge Companion to Greek Mythology book. Mesopotamian parrallels are found between in the story of Zeus and Typhon, where he is recovered by Hermes and Aegipan, and the story of Teshub who is recovered by Ea (who is represented by a stag-fish or goat-fish, the same way as Aegipan). Chibuldios covers me in most in this case. I have just few comments. That has been one of the theories. That the aegian languages did not belong to a known language group. Ida is a mountain top in Crete as well as the Cretan word for "What?" (instead of Greek Ti). It is also a Phrygian mountain and the godness "Mater Idae". Turusa could be Tarsus yes...However, the main thing of Aegians was trade. Most of the Linear B tablets are trading notes and religious stuff. The same is assumed for Linear A tablets. Tarsus was probably a common destination where trade occured. Still, you have loads of placenames like i mentioned before, which were not changed by Greeks until today, that have anatolian roots. I tend to agree you but the Minoans I do not think were obliterated by the Mykenean Greeks but their population was aborbed over time. From my previous research it was after Thera erupted that they believe the Greeks simply took advantage of their weakness and either dominated them politically or outright conquered them. It is all speculation since we have no written text from that time. I have some notes on this subject. 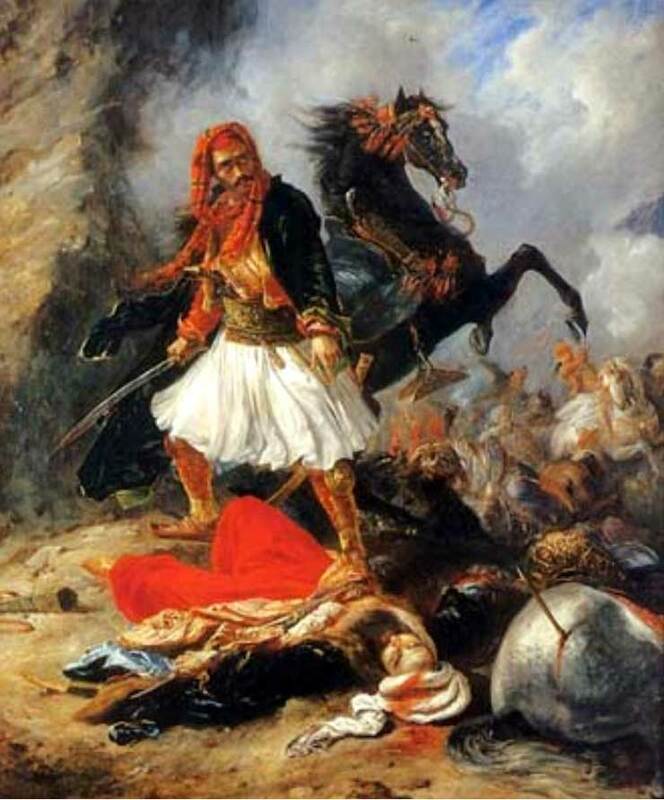 First i do not believe there were any Greek invaders in Greece proper, just various people that you could call mello-Greeks. There was an invation of IE people from the north which probably triggered this. The resulting proto-Greeks, must have incorporated aegian populations that had earlier moved to the mainland or simply populations that were related to the aegians. If you look on the frescos of Mycenaeans and Aegians, you'll see they don't seem so distant. At least in the 14th century BC...So whether, they were conquered and subjected or simply co-existed with the proto-Greeks, the aegians seem to have contributed to the future Mycenaeans. However Greek colonies were not ethnically homogenous. Moreover, we have quite often the case that natives preserve their names (or patronyms), but instead embraced Greek language or even Greek (or later some other of the Roman empire) religion, a phenomenon part of what is usually called Hellenization. And also it could be that the Assyrians referred to most inhabitants of Tarsus and other Greek cities as Greeks, though they weren't really Greeks but from whatever native stocks. The Carrians are one example as well as the Pamphylian (Pamphylis = land of all the tribes/races) Greek dialect which developed in south-central anatolia. Sorry for double account, I made a mistake when I clicked on "Log out". So I choose Pablito, you may shut down "Giampaolo Tardivo". Well, if you looking for an etymology of 'basileus', I am sure, is not part of IE roots. In Linear B it was written gwa-si-re-u and it mean ' Prince or King (it depends from context)'. It is not due to a chance similarities that Circassian word gwasha or gwasa it means 'princess'; moreover, the real meaning (through Abxazian) it come from 'pole, post'. Even in IE languages it exist this concept, cf. Lat. rex, regis and recto; German Reich, rechte or English itself 'ruler', for inches or smb. who's rule the country. Flipper - this is an interesting theory. I know that linear B is classified as Greek so are you saying the Mycenaen Greeks were a proto Greek speaking people? So little is really known that everything I have read about this topic is really only theory. The current theory holds that the Mycenean Greeks were invaders but if you have strong theoretical proof otherwise then that would be interesting. I am open!